This worksheet was used as part of a resiliency lesson I provided my students with. 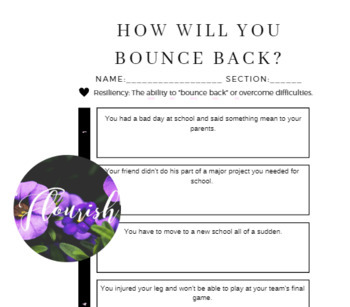 It should be utilized as an extension of an on going conversation with students about bouncing back from life's problems and challenges. Enjoy!